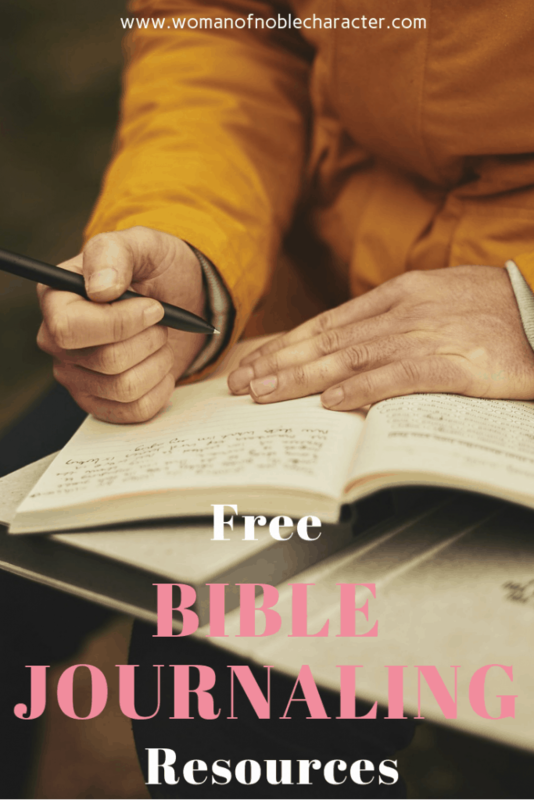 Free Bible Journaling Resources! What’s better than free? 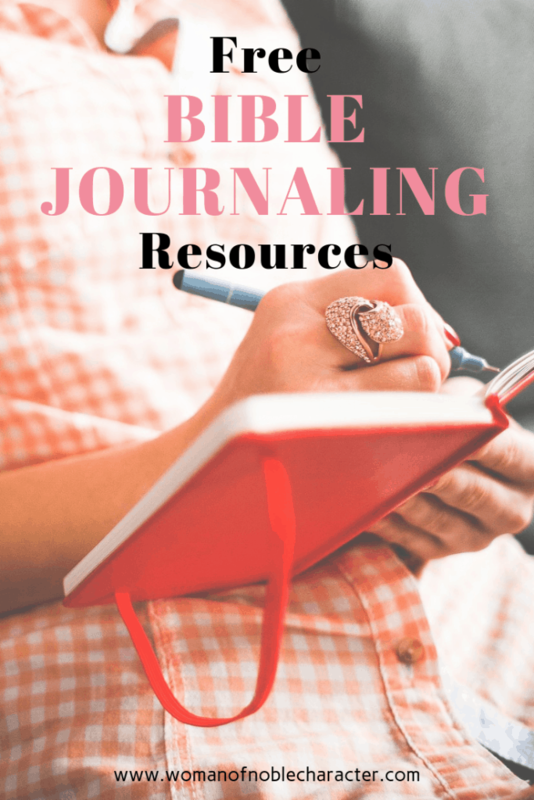 Whether you are new to Bible journaling or are a seasoned pro, you will love this list of free Bible journaling resources. I’ve included free Bible journaling courses, printables and other resources. Each of the sites have different styles and methods of teaching so you’re sure to find one (or more) that resonates with you. New to Bible journaling? Start with this post. 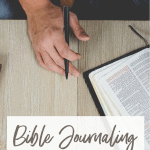 This site is dedicated to all things Bible Journaling. In this free ten day course, you cover everything from preparing your pages to learning new techniques. Once the ten day course is over, you’ll receive a new lesson via email each month. This free resource is amazing! In it, you’ll cover everything from stitching to lettering and from palettes to papers. Some of the “pioneers” of Bible journaling, Illustrated Faith has several free courses on Bible Journaling (although, to follow their step-by-step instructions, you’ll need to purchase their kit – or you can follow their instructions and use the supplies you have on hand). I’ve linked to the 2018 Revival Camp free course, but here is the 2017 course. Rebekah Jones is a well-known Bible journaler. She offers many free Bible Journaling resources including this fantastic challenge. 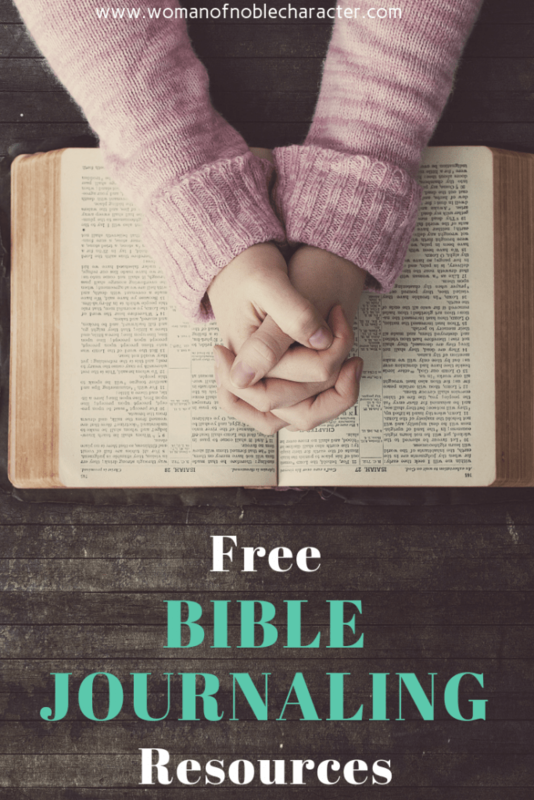 Each lesson includes a video and blog post, combining a free devotional (aka Bible study) and creative tutorial, centered around a particular section of scripture. Skillshare is an online platform where you can learn anything from sewing to lettering and from watercolor techniques to baking. While the courses are not free (most are inexpensive, though), you can get access to a month of free courses by signing up. Cancel after the trial or buy courses that suit you. You can sign up for a FREE TRIAL here. Just a quick search on YouTube for Bible journaling and you will find hundreds of results, but those listed below are great tutorials to teach you new techniques and styles and find amazing inspiration. Shanna Noel is the creative force behind the Illustrated Faith Bible Journaling lines and courses. Here is her own site, chock full of gorgeous ideas and resources. The site owner, Robin Samson has tons more free Bible Journaling resources HERE. Bookmarks, printables (full color or color yourself) to use in Bible journaling. You are sure to be inspired (and find some great printables) here! 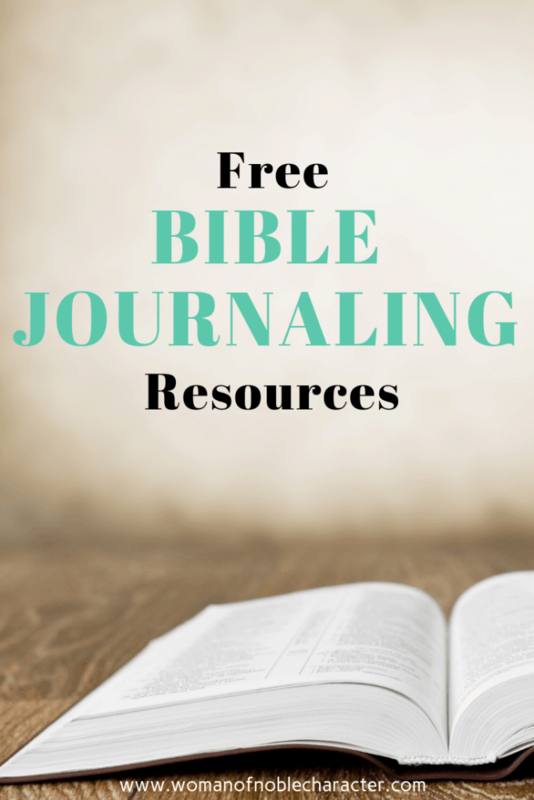 Lots of free resources for Bible journaling for beginners and experienced Bible journalers. On this site, you can register to receive a new free Bible journaling template or printable each month! Rachel is another Bible journaler that is well-known. 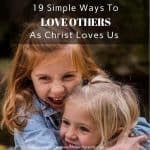 The link will take you to her “Beginner Tips and Free Bible Journaling Workbook”. 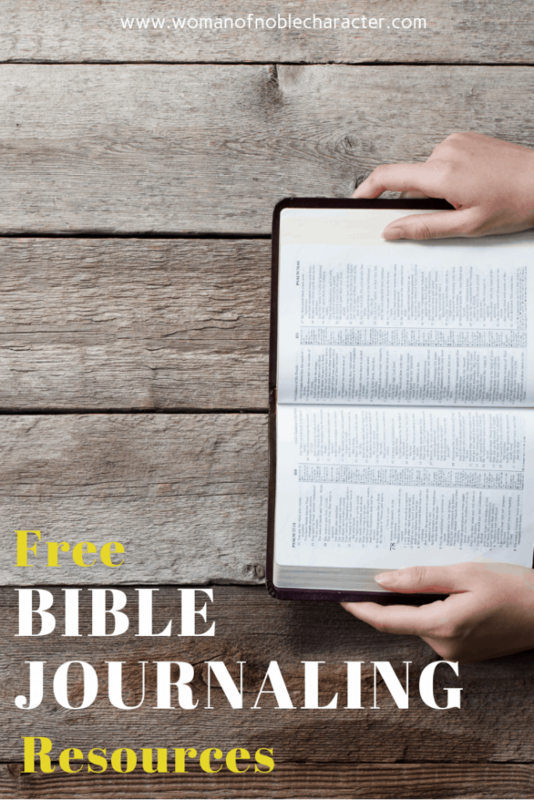 Did you uncover a free Bible journaling resource that you didn’t know about? Which one is your favorite? I’d love to see your Bible journaling pages – post below or email me at sue@womanofnoblecharacter.com and show me your creative worship!